Fifty-four years ago on this date, December 9, John Coltrane recorded A Love Supreme at Van Gelder Studio in New Jersey. John Coltrane released his masterpiece A Love Supreme in February 1965. For those of you unfamiliar with Coltrane’s work, A Love Supreme is as fresh and timeless today as it was more than fifty years ago. Accessibly melodic, Coltrane’s exuberant tenor sax fuses with McCoy Tyner’s teeming piano chords and riffs to produce an unparalleled thirty-three minute session of ascendant and flowing grace. Coltrane’s road to A Love Supreme was anything but straightforward. An incredible talent, he often travelled a wayward path. The hungry ghost of addiction haunted him; he was booted out of Miles Davis’s band in 1957 for continued heroin use, including a near overdose. The close call propelled him to clean up, however. From the autobiographical liner notes of A Love Supreme: “During the year 1957, I experienced, by the grace of God, a spiritual awakening which was to lead me to a richer, fuller, more productive life.” His calling was “to make others happy through music,” which, he claimed, was granted to him through God’s grace. 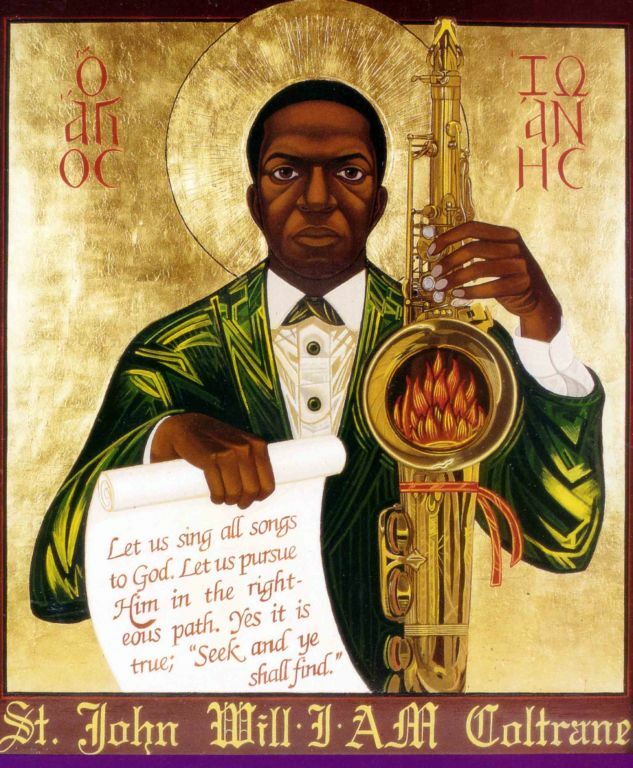 Yes, Coltrane’s credo – like some of his music later in his career – is a bit vague and esoteric. Let me put the credo in other terms, more accessible: love is a sufficiency all its own. In Just a Little Bit More: The Culture of Excess and the Fate of the Common Good, I detail the societal desire and drive that is never satisfied with enough, always seeking “just a little bit more.” Love is the antidote to the pursuit of more and more; it helps us to be grateful, to relax, to rest, to enjoy, to share, and to know what and when is enough. Love also helps us to do great things – busting our tails in the process – for our neighbor and the common good. Love covers it all. John Coltrane died of liver cancer in 1967, having completed only 40 years of life on this earth. Forgive the obvious cliché – his music does live on. Coltrane biographer Lewis Porter (John Coltrane: His Life and Music, University of Michigan Press, 2000) explains that Coltrane plays the “Love Supreme” riff (four notes) exhaustively in all possible twelve keys toward the end of Part 1 – Acknowledgement, the first cut on the disc. Love as sufficiency – it covers all we need and then some. May A Love Supreme reign for another 50 plus years, and then some. Amen. Just a Little Bit More is available through Amazon, and wherever books and ebooks are sold.